Question Proposed on LinkedIn: What Are the Best and Worst Words for Resume Success? 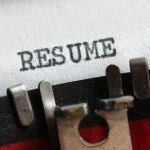 – Worst words: According to the Wall Street Journal quoting a 2013 survey conducted by Harris Poll, the top words and phrases you should never use on your résumé include go-getter, think outside of the box, go-to person, thought leadership and results-driven. Hiring managers consider these words and phrases to be subjective and cliché. – Best words: Instead, you should use strong words and expressions that objectively define specific accomplishments, experience and skills. Think of words such as achieved, improved, managed and resolved. By expressing yourself objectively in this manner, you automatically have to include information about what you achieved, improved, managed or resolved. And that’s measurable information a hiring manager wants to see and can validate by calling your references. – Keep in mind that the document is first and foremost a marketing tool, one that hooks the reader to want to know more about the candidate. At or close to the beginning, you should include a 40- to 50-word paragraph that gives three reasons a company should hire you. Other than that paragraph, avoid long blocks of text and instead, use bullet points that are easy to scan. And always, always include any awards, accolades or other achievements that will help set you apart from the pack. – Avoid fluff. Avoid talking about you. Avoid using 2 sentences when you only need one. Avoid words outside of people’s general knowledge: don’t outsmart the reader. Instead, keep the sentences short, concise, impactful, and quantifiable. Make the reader know that you’re concerned with their bottom line and here’s how you made a difference impacting previous bottom-lines.